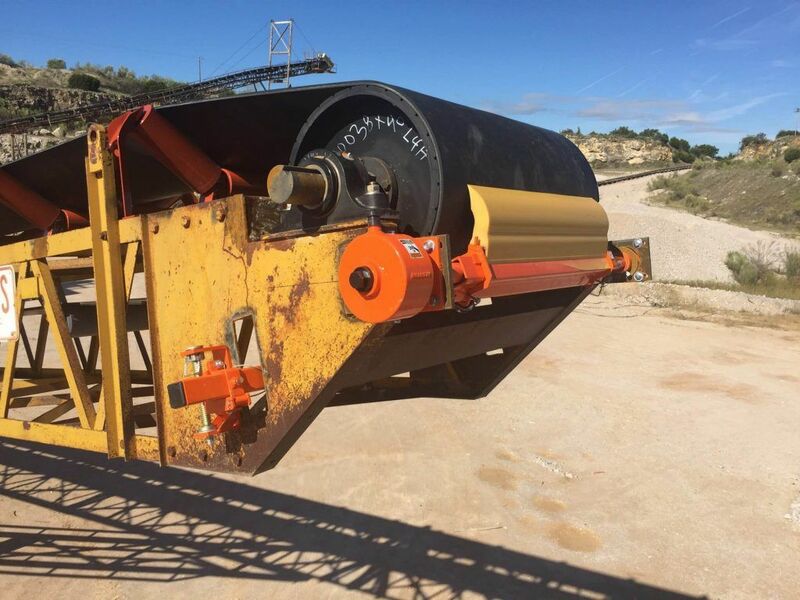 A significant investment in tooling and product engineering by a global leader in bulk material handling technology has produced a patented conveyor belt cleaner that is projected to reduce the cost of ownership by cleaning better and lasting longer. A lower purchase price was also one of the primary goals in designing the Martin® QB1 Cleaner HD, achieved by adopting state-of-the-art roll forming equipment as part of Martin Engineering’s manufacturing capabilities. The move is part of an overall plan to deliver high-performance components at industry-best prices. Described as one of the most comprehensive patents the company has ever been awarded, protection covers the main frame design, manufacturing process and attachment method. The new cleaner features Martin Engineering’s unique “CARP” (Constant Angle Radial Pressure) technology to maintain the most efficient cleaning angle throughout service life, with a no-tool replacement process that can be performed safely by one person in less than five minutes. It delivers outstanding performance and durability, while reducing the total cost of ownership. 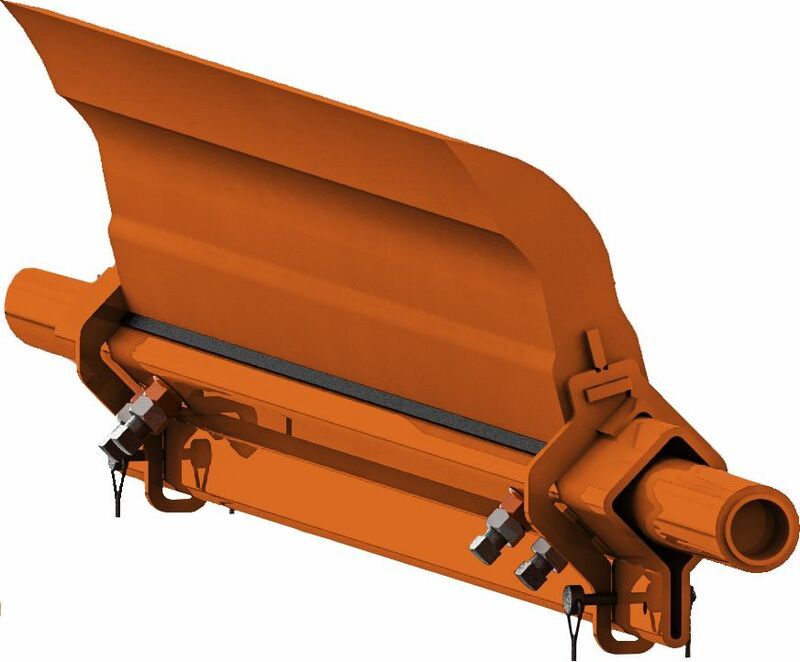 The product announcement comes on the heels of Martin Engineering’s introduction of the company’s “Forever Guarantee,” which ensures lifetime no-cost replacement of tensioners and main frames for any belt cleaner assemblies that are exclusively fitted with the company’s replacement blades. The Martin® QB1™ Cleaner HD is engineered to represent the next generation of belt cleaning technology, delivering the cleanest belt and longest blade life — at the lowest cost. It can be retrofitted onto any existing Martin Engineering tensioners, as well as most competitive systems. In addition to its cost advantages, the QB1 HD design features a square mainframe positioned to shed dust and spillage. The urethane blade formulation can accommodate belt speeds of up to 900 fpm (4.6 m/sec) and service temperatures of -40° to 160°F (-40° to 70°C). The QB1 HD is available in lengths of 18 to 96 inches (457 to 2438 mm) and can also be ordered in 10-foot (3.05 meter) sections, allowing distributors or customers to cut to length for increased versatility. The new design is one of the many belt cleaners covered by the company’s new Mr. Blade program, under which Martin Engineering’s mobile technicians provide fresh, factory-direct replacement blades, delivered and custom-fitted on-site — installed free of charge. Founded in 1944, Martin Engineering is the world leader in making bulk materials handling cleaner, safer and more productive. The company supplies flow aids and conveyor products around the world for a wide variety of bulk material applications, including coal, cement / clinker, rock / aggregate, biomass, grain, pharmaceuticals, food and other materials. The firm is headquartered in Neponset, IL, offering manufacturing, sales and service from factory-owned business units in Brazil, China, France, Germany, Indonesia, Mexico, Peru, Russia, South Africa, Turkey, India and the UK, and under exclusive license with ESS Australia. For more information, visit www.martin-eng.com or call (309) 852-2384. Global representatives for Martin Engineering can be found at www.martin-eng.com/rep-finder. Supplies Pty Ltd will be in touch as soon as possible.